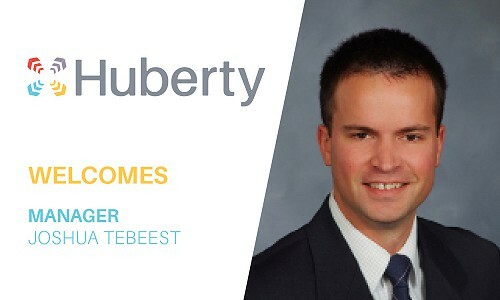 Keep up with the latest news from Huberty by following our blogs! Here we will post news about our organization, key figures, our services, industry news, and more. Be sure to check back often! In his new role, Joshua is responsible for both business and individual clients and specializes in tax planning, transactional advice, compliance, and income tax audit defense. Michael will be responsible for assisting the firm’s clients with estate planning, trust and estate administration, business consultation, and succession planning. What In the World Are KPIs? Huberty clients hear our advisors use the term “Key Performance Indicators” or see the acronym “KPI” written in the service descriptions on our website. However, not everyone is a CPA, so what exactly is a Key Performance Indicator and how does it relate to your financial outlook? Perhaps you’ve noticed our new look? Huberty has recently undergone a complete rebranding with the assistance of the branding and marketing experts at Sun Graphics Media in Sheboygan. The best way to find success is to PLAN for success! Whether your business just had a record sales year or if you’re just “above water,” the beginning of the fiscal year is the best time to develop a Strategic Plan. At Huberty, our Accounting Firm helps evaluate and bolster your business’ true worth so that you don’t sell it for a dollar less than you’ve earned. At Huberty, our accounting firm puts a strong emphasis on the importance and benefits of Strategic Planning. Our expertise has proven time and time again that developing Strategic Plans leads to prosperity in a lot more than just profits, but in the overall financial health and longevity of a business. However, even the most detailed Strategic Plans provide no benefit without putting the plan into action.